Gov. 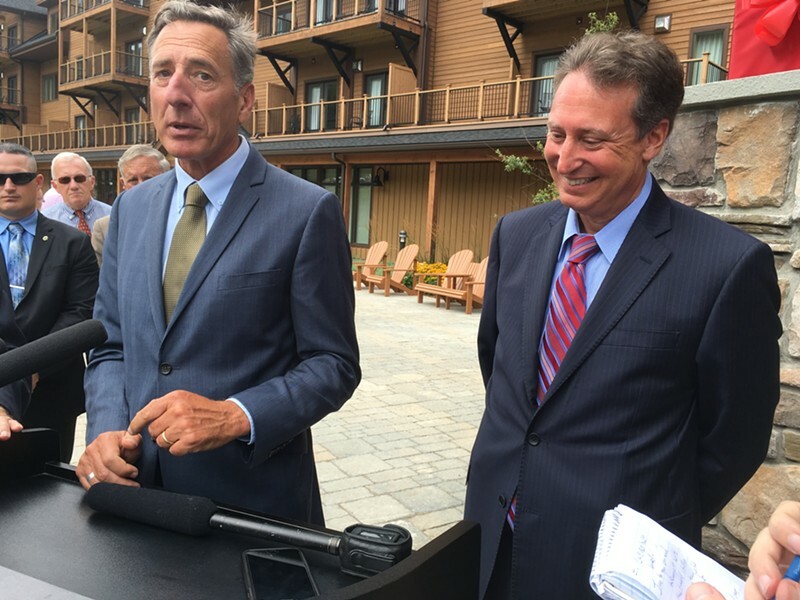 Peter Shumlin and Caledonia County officials on Thursday celebrated the opening of the Burke Mountain Hotel & Conference Center, one of many Northeast Kingdom projects whose completion was thrown into doubt by the EB-5 foreign-investor scandal. 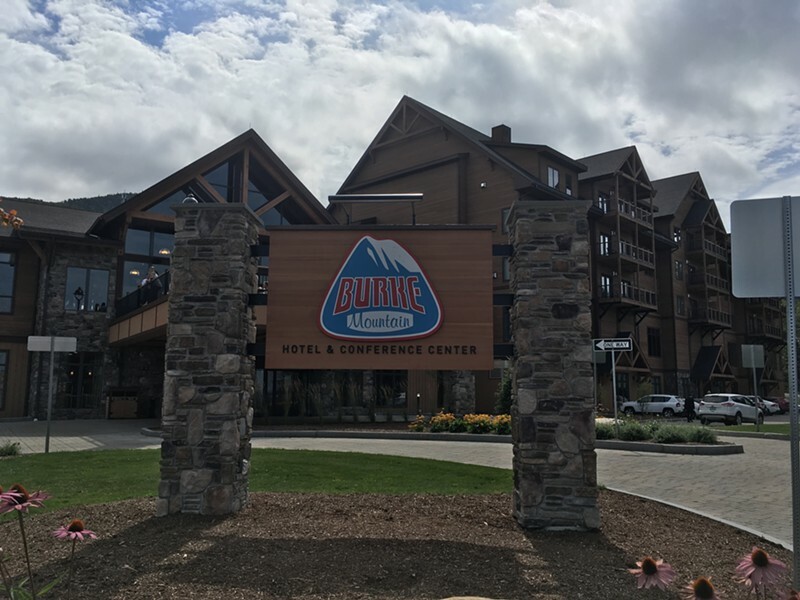 Speakers said the $66 million hotel was desperately needed to keep the ski resort and surrounding communities economically viable, but they acknowledged the controversy surrounding it. The hotel was one of many projects of former Jay Peak Resort president Bill Stenger and his business partner, Ariel Quiros, that were funded by foreigners who each invested at least $500,000 in exchange for citizenship consideration. In April, the Securities and Exchange Commission filed a civil case against the men that accused them of running a "Ponzi-like" scheme and defrauding investors out of $200 million. The SEC recently entered a settlement agreement with Stenger, and it continues to pursue the case against Quiros. The U.S. Attorney's Office has not ruled out pursuing criminal charges against both men. Shumlin, in both prepared remarks to the crowd and later with reporters, offered a full-throated defense of his administration's work both in detecting alleged wrongdoing and then allowing construction and investing in the Burke hotel to continue after the SEC filed suit. "We made the tough decision to ... put in place a system where we could continue to sign up new investors," Shumlin said. "During that time my team got a little criticism. All I can tell you is it worked. The opening today is happening not in spite of the government's work, but because of government's work. Normally, this would be a sleepy mountain." 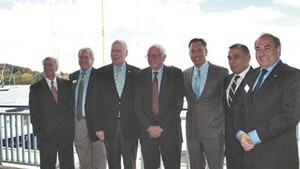 The governor later characterized the hotel's completion as an example of "Vermont Strong," the slogan used during the state's recovery from Tropical Storm Irene in 2011. Burke Mountain Resort, which has gone through two bankruptcies, has long struggled to attract out-of-towners. It is home to the Burke Mountain Academy, one of the region's largest ski schools. 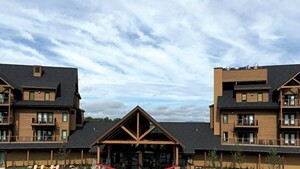 Local officials, including Burke Mountain Academy trustee Donald Graham and Tim Tierney, president of the local chamber of commerce, said the hotel will be a vital economic lifeline. But the fallout from the EB-5 scandal continues to haunt the region. Many contractors who helped build the hotel have not been paid, and the resort will likely be sold next year. Michael Goldberg, the court-appointed receiver who oversees operations at Jay Peak and Burke Mountain, told reporters that he hopes to use part of a recent $13.3 million settlement with Citibank to quickly pay contractors between 30 to 50 percent of what they are owed. Both he and Shumlin said they expect the contractors to eventually be made whole. "I believe it will be 100 cents on the dollar," Goldberg said. "We feel horrible about the position they're in." Goldberg also confirmed that Stenger, who stayed on at Jay Peak for the past four months to help Goldberg with the transition, has stopped working for the resort. Goldberg said he hired Stenger only after forensic accounting showed that Stenger was not the beneficiary of any misappropriated money. "The money flowed to Quiros, not Stenger," Goldberg said. Stenger was helpful in untangling ongoing construction projects, and explaining finances with vendors and contractors, Goldberg said. Without his help, the resort would have spent significant sums hiring lawyers to come in and sort through the projects, Goldberg said. Stenger has offered to help in the future, Goldberg said. "He has pledged his loyalty and undying support for anything we possibly need," Goldberg said. "I and the investors were lucky to have his assistance." Steve Olson, CEO of Leisure Hotels & Resorts, which was appointed to manage the hotel after it was placed in receivership, said the ski mountain will open in early November, thanks in part to fresh investments in snowmaking equipment. It did not open until December last year, Olson said. The hotel, which can accommodate 450 guests, had 65 percent occupancy last weekend after a soft opening and is fully booked for the coming weekend, Olson said. The hotel will eventually employ 300 people, Goldberg said. In all, 132 investors contributed $66 million to build it, Goldberg said. Goldberg said he expects to put the resort out to bid sometime next spring. He said that Jay and Burke could be sold separately or as part of a package.